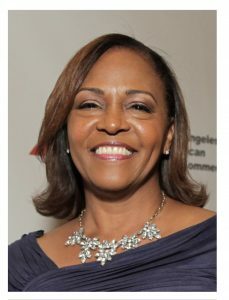 Sharon Shelton is Vice President for the YWCA Greater Los Angeles. She leads the Empowerment Services Department of 125 staff, in four distinct program areas: Early Childhood Education, Senior Engagement, Rosa Parks Sexual Assault Crisis Services, and Workforce Development. Commissioner Shelton serves on the Alcohol & Drug Commission addressing issues of substance abuse. She is the Chair of the Los Angeles Community Action Board addressing anti-poverty and appointed to the Women and Girls Initiative to better address the disproportionate disadvantages faced by women and girls. Sharon holds a Master of Arts Degree in Behavioral Science and certified in Mediation issued by the Los Angeles City Attorney’s office. Los Angeles County Aviation Commissioner, Clinton Simmons, P.E., representing the County of Los Angeles Supervisorial District 2, is an active member of the community, a commercial pilot, and is involved in numerous affiliations. Commissioner Simmons has over five decades of experience in engineering, community planning, and aviation. In November 2017, Commissioner Simmons was nominated and elected as the 2018 Chairman for the Los Angeles County Aviation Commission. Dennis Lord, 47 years with SoCalGas with the last 27 years handling public and governmental affairs for 24 cities and communities. A pilot for 41 years, he has flown medical relief missions and over 600 youth in the Experimental Aviation Association’s (EAA) Young Eagles program providing free flights. He was on the USAF Space Command’s Commander’s Group as a civilian advisor from 2002-2012. Lord is the 2015 recipient of EAA’s Major Achievement Award and is the President of EAA Chapter 96 at Compton Woodley Airport. Josh Green is the Criminal Justice Program Manager at Urban Peace Institute (UPI) in Los Angeles. In his role at UPI, Mr. Green has had the opportunity to partner with communities and individuals to develop policies and community solutions for those impacted by violence. Mr. Green currently serves as the co-chair of the Juvenile Justice Coordinating Council’s Community Advisory Committee and has served on several of the County’s juvenile justice stakeholder advisory bodies, including the CCJCC Youth Diversion Subcommittee. Mr. Green attended Harvard Law School where he was the editor-in-chief of the Harvard Journal on Racial and Ethnic Justice. Retired, formerly Vice President and Associate General Counsel of DIRECTV, now part of the AT&T family, based in El Segundo, California. At DIRECTV Warren was responsible for all labor and employment law matters, including litigation, and served as a Chief Diversity Officer, Chief Ethics Officer and as a Human Resources Executive. 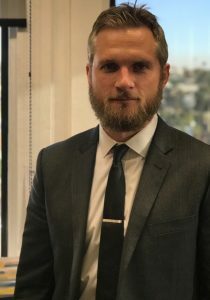 He joined the Company, then known as Hughes Aircraft Company, after working as an employment lawyer at the international law firm of O’Melveny & Myers in Los Angeles. He currently serves on the Boards of the Constitutional Rights Foundation, the Riordan Programs at UCLA Anderson and the UCLA Ronald Reagan Medical Center. He formerly served on the Legal Committee of the Employers Group, and was appointed to serve on the Los Angeles Civil Service Commission and Police Commission (Mayor Riordan), the California Fair Employment and Housing Commission (Gov. Wilson), and the California Workforce Investment Board (Gov. Davis and reappointed by Gov. Schwarzenegger). Warren also was a deputy general counsel to the William Webster Commission, which reviewed and reported on the LAPD’s performance during the April 1992 civil, disturbance in Los Angeles. In 2003 was elected to the College of Labor and Employment Lawyers, and he has frequently written and spoken on these matters. Warren received his JD from Harvard Law and a BA from Cornell University; he has also completed the UCLA Executive Management Program and the Cornell University Human Resource Executive Program. Warren and his wife, Jackie Phillips-Jackson–who is also a lawyer, reside in Bel Air with their three children. Sydney Kamlager-Dove serves as President of the Board of Trustees for the Los Angeles Community College District (LACCD). In addition to her elected board duties and responsibilities, Ms. Kamlager-Dove works as District Director for the Honorable Holly J. Mitchell, California State Senate, 30th District. Prior to her work in the public sector, Ms. Kamlager-Dove worked for over 20-years in the non-profit and private sector fields of early childhood education, entertainment and public policy. Ms. Kamlager-Dove earned her bachelor’s degree in Political Science from the University of Southern California and masters’ degree in Arts Management from Heinz College at Carnegie Mellon University. She is a member of Zeta Phi Beta, Sorority Inc., and resides with her family in L.A.’s Crenshaw Manor community. Dr. Kynna Wright brings over 23 years of experience in the fields of public health, nursing and education. As a Board- Certified Nurse Practitioner her clinical expertise includes maternal child health, with specialties in high-risk obstetrics and infant/child development as well as specialties in general pediatrics and hematology/oncology. She is also an internationally known socio-behavioral scientist. Dr. Wright is also the current Chair of the Los Angeles Commission for Alcohol and other Drugs (COAD) and the former chair of the COAD Policy & Planning Committee. 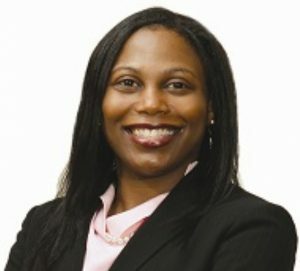 Dr. Wright is a graduate of the UCLA, where she received a PHD and MPH from the School of Public Health and MSN and BSN from the School of Nursing, a BA in Sociology from the College of Letters and Science, and is also a graduate of the UCLA Anderson School of management Women’s Leadership Institute. 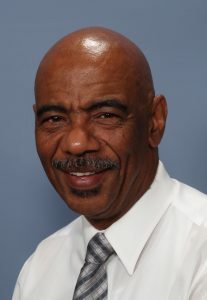 Dr. Wright has received numerous awards including the U.S. Department of Health and Human Services Minority Health Community Trailblazer Award, the American Public Health Association’s Maternal-Child Health Section, Young Professionals Award and the National Association of Pediatric Nurse Practitioners Los Angeles Chapter, Outstanding Nurse Practitioner of the Year Award. Romalis Taylor has an extensive career spanning over 30 years of experience in Mental Health, Social Services, and the Management field including; program development, administrative systems development, and financial and quality assurance development. He was the Chair of the Compton/East Compton Best Start Leadership Group which advocates, develops, and implements community activities to strengthen families with children 0-5 based on the First 5 Strengthening Families Model. Mr. Neely is the founder and past director of the Homeless Outreach Program/Integrated Care System. The Homeless Outreach Program was founded in 1988 as a pilot program with $50,000 and four employees and grew into a multi-million dollar project with more than sixty employees. He served on the State Commission on Homeless Veterans, the State Commission on African American Males and Substance Abuse. He was a Los Angeles County Commissioner on the Narcotics and Dangerous Drugs Commission. Mr. Neely served on the Los Angeles Homeless Services Authority Board of Commissioners. He is a member of the Congressional Black Caucus Veterans Brain Trust. Mr. Neely served on the Downtown Strategic Plan Committee which provided the framework for the downtown Los Angeles’ renaissance in the 21st Century. He was also involved in issues where he improved the outcomes for many projects. He participated in the development and implementation of the first mobile HIV/AIDS testing van. He was the first to develop an outreach program to employ formerly homeless individuals to assist the United States Census Bureau to implement counting homeless persons in the 1990 census. He assisted the City of Los Angeles in organizing its homeless count in support of the City’s lawsuit against the Federal government in the mid 1990’s. He was member the Los Angeles County Welfare Reform Implementation Committee, and a member of the Prop. 36 Implementation Task Force. Mr. Neely was selected as a Hesselbein Fellow of the Peter Drucker Foundation (now Leader to Leader Institute). Mr. Neely has served on numerous Advisory boards and Study groups as well as the Board of Directors of the California Association of Alcohol and Drug Program Executives. Mr. Neely retired in 2004. He is an active participant in many community projects. Henry Porter, Jr. is a resident of L.A. county unincorporated Athens-Westmont community. He graduated from Los Angeles Trade-Technical college with an associate of science degree in carpentry and later earned a teaching credential from the university of California, Los Angeles. Mr.Porter is actively involved in volunteer work within his community.#President of Southwest Community Association, #Volunteer with South L.A. Sheriff, #Washington Prep High School,#Oversight committee for bond construction at L.A.Southwest College. AWARDS include *L.A. County volunteer of the year for 2017, *Calif. Assembly resolution commending him for his community contributions, February 2015. Marsha Mitchell-Bray is the Director of Community Services & Family Supports for South Central Los Angeles Regional Center (SCLARC). As a graduate of UCLA, Ms. Mitchell holds a B.A. in English. She also holds a Master’s degree in Negotiations, Conflict Resolution and Peacebuilding from the California State University, Dominguez Hills. She is a recent appointee to the Los Angeles County Commission on Disabilities (2nd District) as well as a proud member of Delta Sigma Theta Sorority, Inc.
Cathy Gott, parent of two adult children with Autism Spectrum Disorder, was born and raised in Los Angeles. In 1993 she founded Education Spectrum, that provides supportive services to families affected by autism. In 2007, Cathy opened “Danny’s Farm,” a petting farm that employs adults with developmental disabilities. Currently, Cathy consults for a variety of organizations, and recently built a program for ETTA, called Transitions. Cathy is a fierce advocate for those underserved, and guides families the complexities of connecting to high quality services throughout Los Angeles. She holds her Master’s Degree in Public Administration. Hildegarde Aguinaldo currently serves as Associate General Counsel for United Healthcare. In 2012, Supervisor Mark Ridley-Thomas appointed Ms. Aguinaldo to the Los Angeles County Hospitals and Healthcare Delivery Commission. Her wealth of knowledge in health care provides valuable insights and great value to this Commission. Ms. Aguinaldo was previously an attorney in the Healthcare Litigation practice group of Lewis Brisbois Bisgaard & Smith LLP, where she specialized in the defense of healthcare providers. She holds a Masters of Public Health from the University of California, Los Angeles. Ms. Aguinaldo advises the Board of Supervisors and the Department of Health Services on all matters pertaining to the health care policies and programs of the County Hospital system. She has also been appointed by Governor Edmund G. Brown Jr. to and serves as President of the California Acupuncture Board and Chairs the Enforcement Committee. Ms Aguinaldo also serves as a long term advocate for the Filipino-American Community and serves as President of the Filipino American Bar Association (PABA). Nancy Kuechle, Library Commissioner for Second District, served as co-president of the Culver City Friends of the Library where she collaborated on the recent renovation of the Culver City Julian Dixon Library. She coordinated a weekly Knitting Circle that meets at the library and teaches children to knit and crochet. With a group of community stitchers, she facilitated the creation of a wall hanging that will be hung in the library on a permanent basis. Mrs. Kuechle taught elementary school in Beverly Hills for almost 30 years, and she continues to work there as a substitute teacher. She moderates a community book group, and another one targeted to alumni in education from Occidental College. Booker Pearson, a longtime homeless advocate, is a founding board member of Upward Bound House, a nonprofit agency with facilities in Santa Monica, Culver City, South LA and Compton providing emergency, bridge and permanent housing with supportive services to homeless families with children. 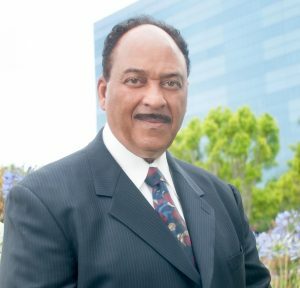 Booker is a member of the Los Angeles Homeless Services Authority Commission and chairs that organization’s Programs and Evaluation Committee. 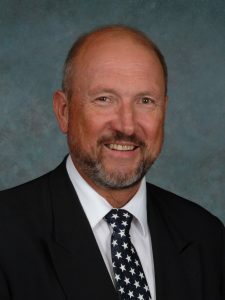 He also serves as Chair of the Los Angeles County Commission for Public Social Services and is a member of the Westchester Parks and Recreation Advisory Board and Councilmember Mike Bonin’s Venice Homeless Task Force. 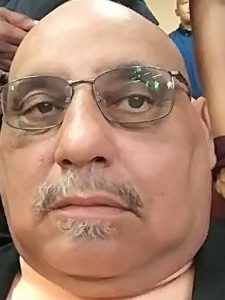 Harold is a retired Information Technology professional with more than thirty-five years experience working with Fortune 500 organizations. 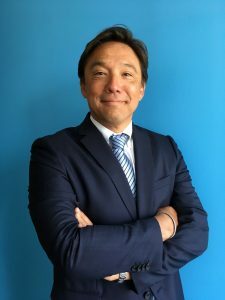 He has provided technical management and direction in support of major infrastructure projects in such diverse industries as financial services, information technologies, and health care. Harold has been a contributing member of the National Alliance on Mental Illness since 2007. He is now the Director of Programs for NAMI Urban Los Angeles. He also services on the NAMI California Board of Director. 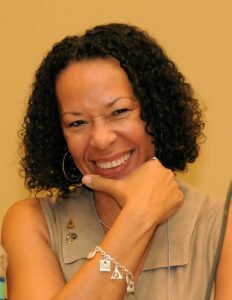 Psychologist Kita S. Curry, PhD, is the CEO of Didi Hirsch Mental Health Services. Since taking the helm at Didi Hirsch in 1999, the agency’s services have more than doubled. She draws on her professional and personal experience to help erase stigma: mood disorders have touched Kita and many relatives, including three lost to suicide. Kita has chaired/served on the boards of County, State and National Behavioral Health Associations and currently on the National Suicide Prevention Lifeline’s Steering Committee. 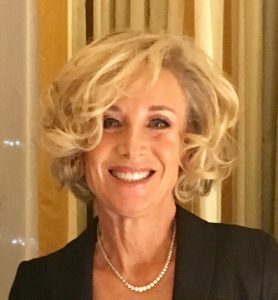 She has testified before the California legislature and served on State Advisory Committees on Suicide Prevention and on Stigma and Discrimination. Honors include: Eli Lilly Heroes in the Fight Award from NAMI Urban Los Angeles, SHero Award from former California Senator Curren Price, Jr., 2016 Pioneer Woman of the Year Award from Councilmember Felipe Fuentes and the Los Angeles Commission on the Status of Women. Cheri Thomas, Commissioner for the Native American Indian Commission, has been a Los Angeles resident since 1987 and actively participates with her tribe – the Quinault Indian Nation in Washington State. Ms. Thomas supports American Indian constituents and events throughout Los Angeles County and District 2. She has spoken on behalf of the Commission as a panelist at Harvard University, the World Indigenous Peoples Conference and the California Department of Education. Ms. Thomas graduated from USC with a BA in Journalism and Masters of Public Administration and works for the Los Angeles Unified School District as a Principal Administrative Analyst. Cyn Yamashiro the director of the Independent Juvenile Defender Program at the Los Angeles County Bar Association. Prior to his appointment at the IJDP, he was a professor at Loyola Law School, Los Angeles, where he created the Center for Juvenile Law and Policy, a legal and policy clinic dedicated to improving the quality of legal services provided to youth in the juvenile delinquency system. Before joining the faculty of Loyola Law School, Cyn was a public defender in Los Angeles County. He has published and commented on cases and trends in criminal and juvenile law for television, radio and print media. Ms. Angela Gibson-Shaw is a Public Affairs veteran with more than 35 years of experience. She has been instrumental with assisting small businesses through outreach and community engagement. She is committed to the empowerment of small minority businesses. She is the current President of the Greater Los Angeles African American Chamber of Commerce, and a Board member of the Inglewood Airport Area Chamber of Commerce. Dr. Grills is a Clinical Psychologist with a current emphasis in Community Psychology. 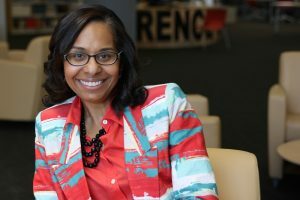 A national Past President of the Association of Black Psychologists, Dr. Cheryl Grills, is a tenured, Full Professor at Loyola Marymount University and Director of their Psychology Applied Research Center. She also serves as Chair of the Los Angeles County Sybil Brand Commission. Among others, she currently leads the evaluation of a CDC REACH grant on health equity issues, a California Department of Public Health grant addressing mental health disparities, and a Robert Wood Johnson Foundation grant examining community organizing as a public health strategy to address obesity among children of color. 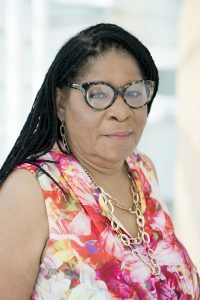 Her research interests, publications, and projects include African Psychology, mental health prevention and treatment with African-Americans, substance abuse, community psychology, community mental health, and program evaluation and applied research with community based organizations engaged in community organizing on a host of social justice issues. After Susan’s five-year old son was accidentally hit and killed by a car, she numbed her grief through alcohol and drugs. As a result, she became enmeshed in the criminal justice system for nearly two decades before finding freedom and sobriety in 1997. 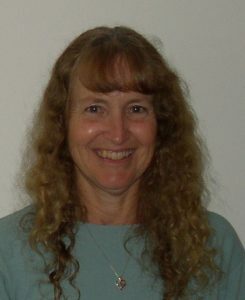 Drawing on her personal experiences, she founded A New Way of Life Re-Entry Project (ANWOL) in 1998, dedicating her life to helping others break the cycle of incarceration. Today, Susan is widely recognized as a leader in the national criminal justice reform movement. Susan has earned numerous awards and honors for her work. In 2010, she was named a CNN Top Ten Hero and received the prestigious Citizen Activist Award from the Harvard Kennedy School of Government. Susan is currently a recipient of both the Encore Purpose Prize (2012) and a James Irvine Foundation Leadership Award (2014). In 2015, on the 50th Anniversary of Selma and the Voting Rights Act, Susan Burton was named by the Los Angeles Times as one of eighteen New Civil Rights Leaders in the nation. Commissioner G. Patricia Jackson-Kelley is a Veteran of the United States Air Force and Air Force, Army and Navy Reserve. She retired as a Lieutenant Colonel after 26 Years of combined active duty and reserve service. Since leaving the military, she continues to advocate for veterans as a member of the National American Legion Legislative Council and Department of California Women Veterans Outreach Coordinator. As a Foundation for Women Warriors board member she was featured in Time magazine, December 2017. She was selected as the 2017 Veteran of the Year, Eighth District, City of Los Angeles and awarded Holman United Methodist Church Quiet Champion. Anita DeFrantz is an Olympic medalist and the first American woman to serve on the International Olympic Committee. For almost three decades, she headed the LA84 Foundation, which funds youth sports. She recently created the Tubman Truth Corporation to expand opportunities for women and girls. Araceli Campos is Chair of the LA County Women & Girls Initiative, representing the Second District. Araceli previously served as President of the LA City Commission on the Status of Women, where she supported the Garcetti Administration’s first-of-its-kind gender study and implementation of CEDAW in City departments. Professionally, Araceli is Executive Director of the Miguel Contreras Foundation, a 501(c)(3) non-profit organization to empower local underserved workers. 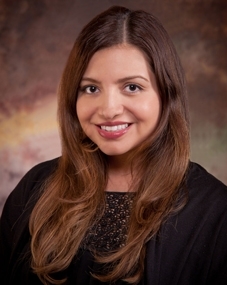 Araceli previously served as Corporate Counsel for one of the largest Latino civil rights organizations in the U.S. Araceli is a first-generation American who attended LA public schools before Yale and Stanford Law. Sharon Shelton is Vice President of Empowerment Services for the YWCA Greater Los Angeles. She has held several positions in her 23 years with the organization. In her current position, she has expanded the Empowerment Services Department to 100 staff, interns and consultants impacting more than 100,000 individuals and groups in four distinct program areas: Early Childhood Education, Senior Engagement Services, Sexual Violence Prevention & Intervention, and Workforce Development.